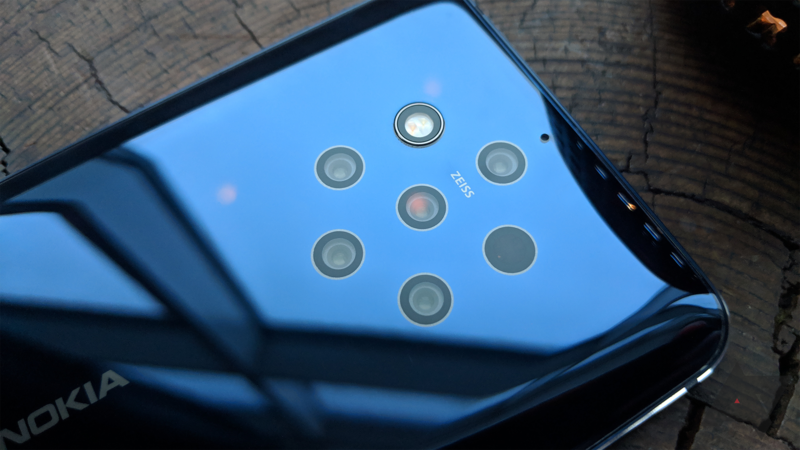 One of the more interesting new phones shown off at Mobile World Congress was the Nokia 9 PureView, a five-camera flagship intended to trade blows with the Pixel 3 and Galaxy S10. The entry price of $699 is a bit steep, considering it's using last year's Snapdragon 845 processor, but HMD Global is already planning the first sale. From March 3rd to March 10th, the Nokia 9 PureView is dropping to $599.99 everywhere its sold. That includes Best Buy, Amazon, and B&H Photo. The lower price makes the phone far more attractive, especially given it will receive Android updates for two years (and security updates for three). Though, you still don't get a headphone jack. We'll keep you posted when the sale begins. In the meantime, maybe hold off on that pre-order. The sale is supposedly live, but availability and pricing is all over the place. Amazon is still charging $700 for the phone (with a heavy shipping delay, at that), and B&H Photo has it for the sale price with a free 10,000mAh battery from mophie. Best Buy is out of stock online, and it doesn't appear to be available in any physical stores — none within a 250 mile radius of my home have one. However, if you do manage to find a physical Best Buy store with the Nokia 9 PureView, it's only $549 if you activate it at purchase. Giving you the power to explore every detail, the Nokia 9 PureView features the world’s first five camera array with ZEISS Optics to put next generation computational imaging technology into the hands of photography enthusiasts. Every picture taken with a Nokia 9 PureView leverages the five rear cameras simultaneously to capture the image and fuse it together into one 12MP photo with outstanding dynamic range and depth of field. Designed with the needs of photography enthusiasts at its heart, Nokia 9 PureView also features the ability to capture images in uncompressed RAW “DNG” format and edit them directly on the phone yourself thanks to a collaboration with Adobe Lightroom. It has been said that 50% of the art of photography is in post-production and with Nokia 9 PureView you have every opportunity to shine. As an Android One device, three years of monthly security updates and two years of OS updates are guaranteed which delivers the latest Android experience that only gets better over time. The Nokia 9 PureView will stay fresh with the latest AI powered innovations and built-in security protection by Google Play Protect. With a pure Android installation, the Nokia 9 PureView comes with no unnecessary UI changes or hidden processes and comes with a limited number of pre-installed apps so that you’ll get more storage space, as well as the latest innovations that help you stay ahead of the game every day.